I am quite sad that it took me this long to read this novel, especially after seeing how much fellow book bloggers love it and recommend it. 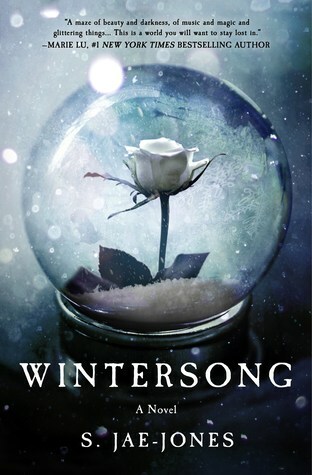 I can see that there was not one bit of exaggeration in this, because I absolutely adored this book. Novik has created something so rich here, as deep and vast as the Wood that surrounds the Valley where Agnieszka and Kasia live. 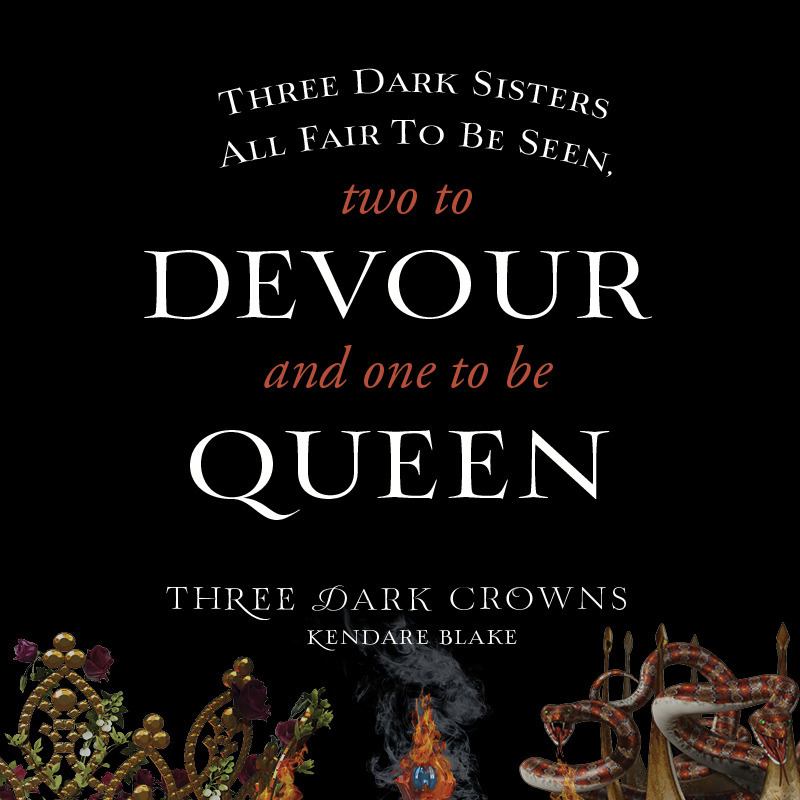 The story world is developed without being bogged down by excessive narration or description, and the characters are so fully realized that I felt I was watching Agnieszka’s story unfold in front of me. friendship seems to unburdened and easy at the beginning of the story, despite the assumption that Kasia will be selected by the Dragon to go and live in his tower for ten years. However, when Agnieszka is chosen and Kasia *SPOILER ALERT* taken by the Wood, the secret resentment and underlying hate that comes out when trying to save one another was so heartbreakingly realistic and somehow beautiful, that their friendship not only survives but becomes stronger. The Dragon, Sarkan, is grouchy, set in his ways, and easily frustrated, but he still is likable despite all of these traits. I do find him unbearable at the moments where he is rude to the main character, but I think it comes from the confusion he finds in her magic, and the confusion in his feelings for her. Agnieszka took him by surprise, and it is obvious that he resents that very much. 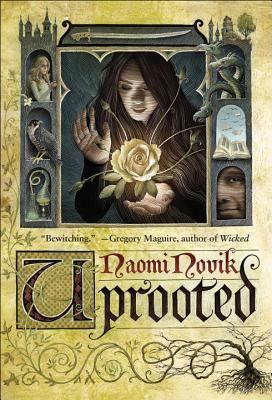 Story-wise, Uprooted is very much in the vein of the old epic poems, which are mentioned a handful of times in the novel, and it flows like a beautiful song. 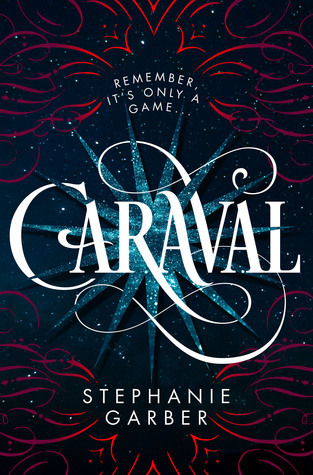 I was blown away by this novel, and it was a perfect beach read for my vacation, one that helped me forget the heat and the humidity, but took me away to a beautiful tower, village, and enchanted Wood. I admit that I am a bit of a noob when it comes to Neil Gaiman. Other than having read Neverwhere and Stardust, the only other exposure I’ve had to him is through the episodes of Doctor Who that he has written (‘The Doctor’s Wife’ is still one of the best episodes ever). So when a librarian friend of mine (Thanks, Genna!) told me that she had read The Ocean at the End of the Lane shortly after it was released, I knew that it was something I had to pick up. I mean, everyone should trust the opinion of their librarian on what books are good and which ones to avoid. Anyway, I was surprised by how short this novel was when I picked up a copy, but after reading it I completely understand that the story could be no more and no less. Gaiman has an impeccable way of doing that. Initially, I was put off by the middle aged nameless narrator since I was expecting more of a children’s novel based on what I had been told. However, this narrator serves as the framework for the story that is told through the point of view of a young boy. The reader is quickly introduced to the sleepy, small town in Suffolk that serves as the setting. For some reason all the countryside really reminded me of the use of the Moors in Wuthering Heights; especially when the narrator is running toward the Hempstock farm in the dark. 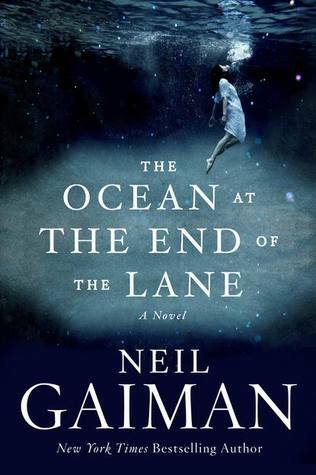 In addition, Gaiman quickly involves us in the story world with the suicide of the man and the wonderful inclusion of Lettie, who serves as a guiding light for the narrator and his only friend. I want to encourage everyone to read this novel. While Gaiman never truly explains where the Hempstocks are from or how long they have truly been a part of our world, he does include enough information for the reader to be satisfied and still be on the verge of asking a billion questions. Gaiman, you have sufficiently pleased me again. And David wants in. 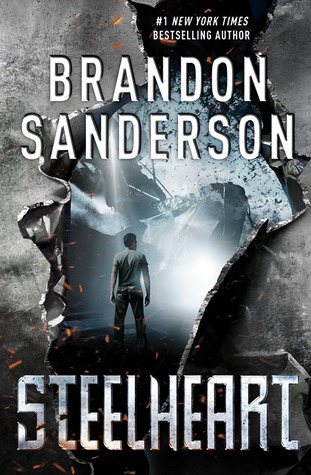 He wants Steelheart—the Epic who is said to be invincible. The Epic who killed David’s father. For years, like the Reckoners, David’s been studying, and planning—and he has something they need. Not an object, but an experience. He’s seen Steelheart bleed. And he wants revenge. Haven’t read any of my other “In Which Jessica Finally Reads” posts? Check them out: Sorcerer’s Stone, Chamber of Secrets, Prisoner of Azkaban, and Goblet of Fire. 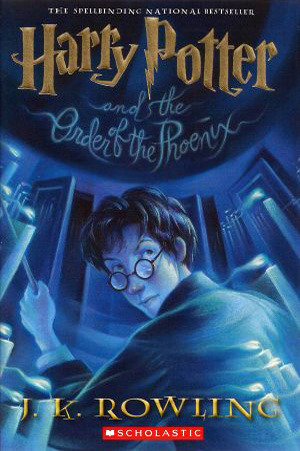 Where to start on Order of the Phoenix? Oh yeah, this was a super long book! 870 pages? I’m amazed and pleasantly impressed by the fact that so many younger children and adults are willing to hitch a ride to such a large novel with such heavy subject matter! Heavy subject matter indeed: Death, Treachery, Belief, Slander, Student Punishment, and Yellow Journalism. FINALLY, Harry was able to let loose his anger and annoyance at the fact that he continued to be left out of the loop and seemingly punished for his bravery by being sent to stay with his terrible aunt and uncle, and then attacked by dementors and doubted by the entire magic community! Sorry, I was a tad wound up for him as well. I will say that I appreciated Rowling’s use of the Daily Prophet in the novel to explain how and why the entire magical world had seemingly turned against Harry and believed that he was a “nutter.” As a huge history nerd, I really enjoyed this because it reminded me of the unit on Yellow Journalism that we studied during the Spanish-American war. Definition of Yellow Journalism: “Journalism that is based upon sensationalism and crude exaggeration.” Kudos, JK on using this. Now, as much as I am supposed to hate Professor Dolores Umbridge because of her anti-half blood agenda and how much she prefers to live in denial of the return of Voldemort, I can’t help but love her as a character. She has everything a psuedo-villian needs when being introduced into a narrative towards the middle. She has a clear agenda, she targets the main character, she reduces the most important subject to these students in order to gain control, and she has the looks of a non-threatening person. How could you not love her as complete a character as she is? Plus, if it weren’t for Umbridge, Dumbledore’s Army would never have been formed. See? Do you see how I’m slowly being converted? Despite my disdain for the first two books based on the slow pace, I have become invested in Harry’s story. I really didn’t like the lack of Dumbledore in this novel, especially since I’ve seen the next movie and I am aware of his fate. However, I know I still have the sixth book to look forward to in regards to the headmaster. I also think that the battle inside the Department of Mysteries was much more intriguing and fast paced in the novel than in the movie. However, when it came to Sirius’ death scene, I was just surprised at how quickly it happened in the novel. Yes, it was still really sad, but there wasn’t a whole lot of description of it…just that it happened. I still think that Harry’s response was appropriately written, but I think that the acting in this scene in the movie really moved me more than in the novel. But again, this is probably because I had seen the movie first. Overall, I am still really enjoying reading Harry Potter and I’m giving Order of the Phoenix 4.5 Bards.